Lord & Taylor: Buy 1, Get 1 Free Holiday Chocolates & Gourmet. Appear in cart as 50% Off each item. Lord & Taylor: Tap offer to copy the coupon code. Remember to paste code when you check out. Online only. Lord & Taylor: No coupon code needed. Tap to shop the sale now. 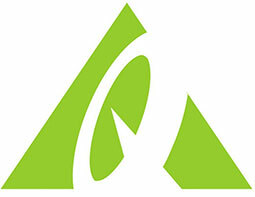 Lord & Taylor: Get up to 60% Off Select Spring Sportswear. Lord & Taylor: Check out all of Lord & Taylor coupons, in-store offers, promo codes and more! Lord & Taylor: Get up to 40% Off Select Men’s Coats and Jackets. Lord & Taylor: VIP Savings Event! Get 60% Off or more on Select Coats with your Lord & Taylor Credit Card Or 50% Off or more on Select Coats without Credit Card. Lord & Taylor: Get an Extra 50% Off Women Clearance Clothing. No code needed. Lord & Taylor: New Year New You! Buy 1, Get 1 50% off select Adidas items. Reflects total savings off original prices. Prices will appear as 25% off each item at checkout. 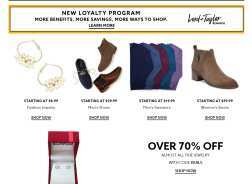 Lord & Taylor: Get up to 75% Off Select 424 Fifth Items.